Who says all of the glitz and glamour that comes with New Year’s Eve has to end? 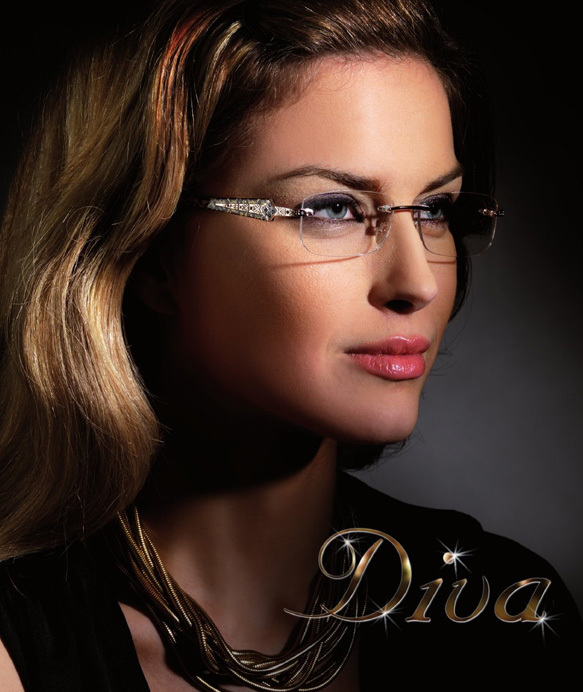 Ladies, we all know that wearing a little bling can turn your look from drab to fab, so we say keep the sparkles going throughout 2012 with Diva Eyewear’s 5347 specs. These rimless frames might look demure from the front, but the decorated temples offer a spexy surprise with a brown-leopard pattern, baroque themed detailing and coveted Swarovski crystals. The modern embellishments give off an eye catching shimmer while the minimalistic design creates a frame that can be worn every day. Cheers to fun new frames that will add sparkling charm to every outfit!